INDIANAPOLIS -- In the front pew, dressed all in white, Tia Coleman held up her hand and sang along as the choir belted out “God is a good God, yes he is.” When the music picked up, she danced. And when it came time, with tears in her eyes, she said goodbye to her husband Glenn, and her three young children, Reece, Evan and Arya. 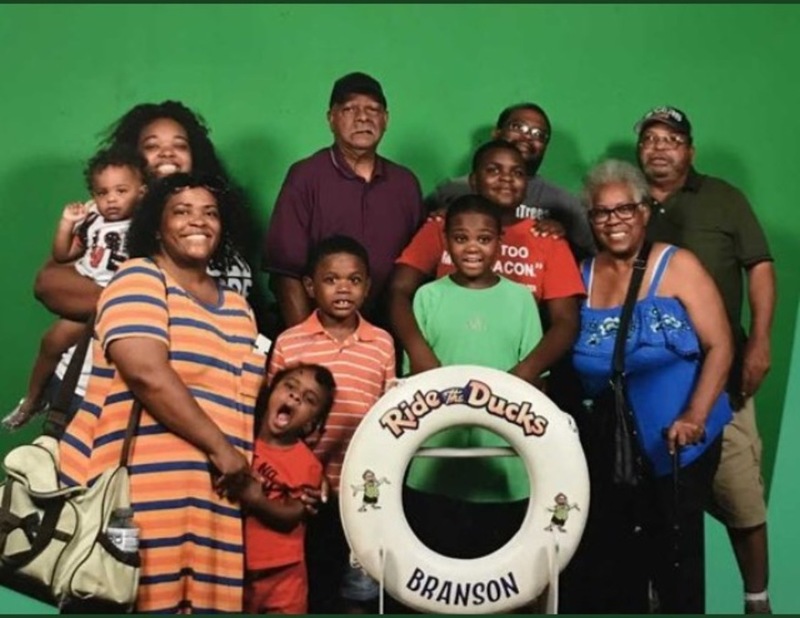 Coleman and 10 members of her family were on vacation in Missouri earlier this month when a storm capsized their sightseeing duck boat tour. 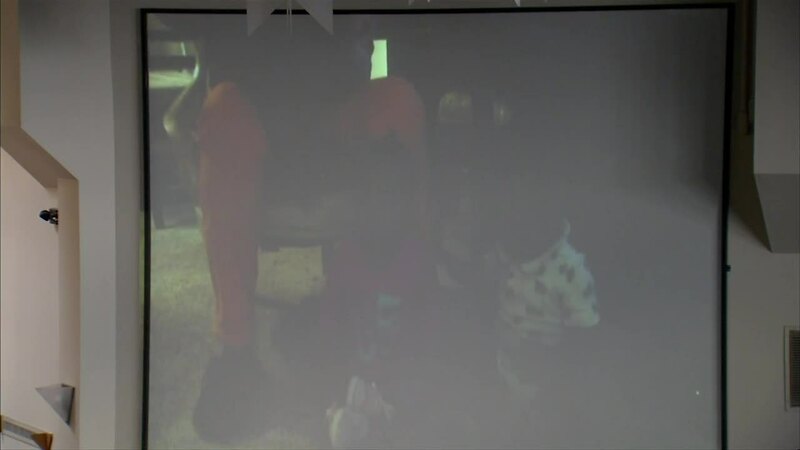 Coleman and her 13-year-old nephew, Donovan, were the only members of their family to survive. In all, 17 people died as a result of the sinking. 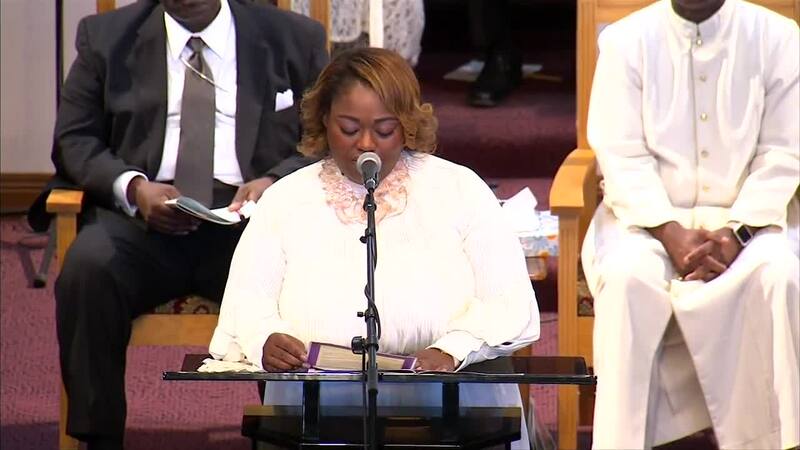 PREVIOUS | 'Lord just let me die': Indy woman recalls duck boat tragedy that killed 9 of her family members | Indy woman who lost 9 family members in duck boat accident: "I don't know if there is recovery from it"
Dressed in matching, all-white suits donated by Carmel’s DC Tux – with Arya in a white dress – the Colemans lay in caskets inscribed with “The GREAT Colemans.” Banners with the same inscription – the family’s initials spell out G.R.E.A.T. – adorned the halls of the church and the day’s program. 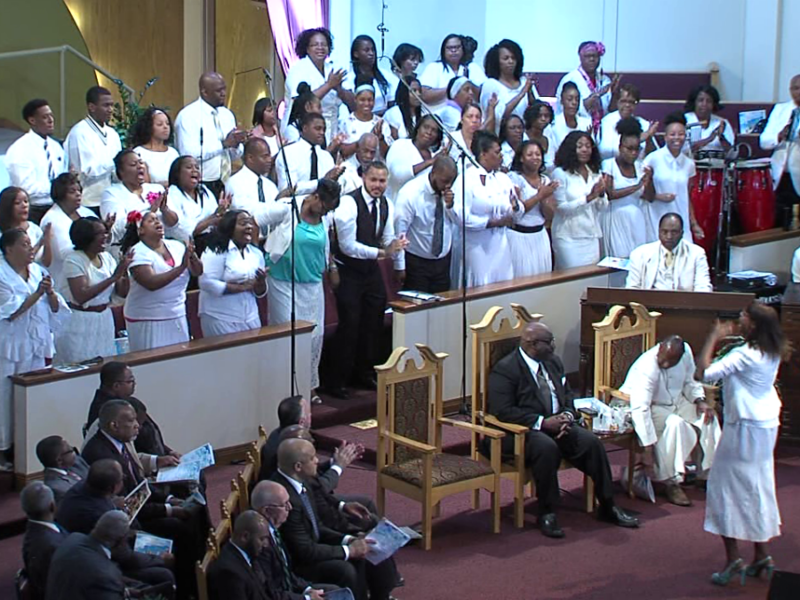 The Agape Apostolic Faith Choir performs at the funeral of Glenn, Reece, Evan and Arya Coleman on July 27, 2018. 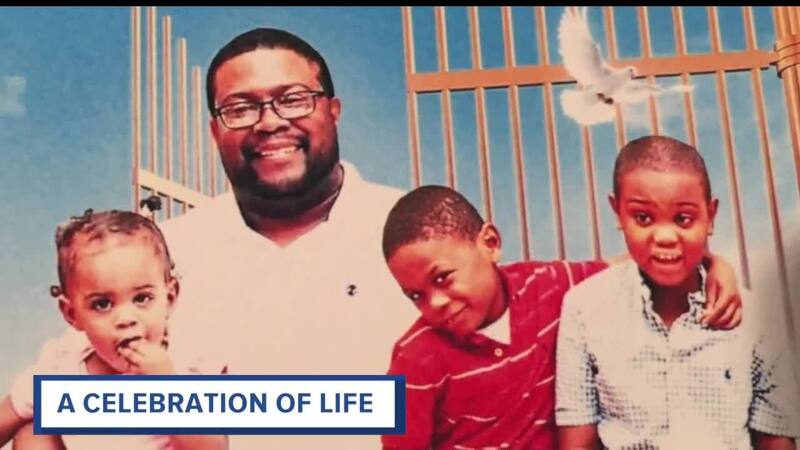 It was a brief moment of catharsis for a family preparing to bury four loved ones – and who would do it all again the next day, when the remaining five Colemans were set to be laid to rest. Starks, the master of ceremonies, let the moment go on for as long as it could. The funeral’s speakers included Congressman Andre Carson, Marion County Prosecutor Terry Curry (Coleman works in the child services division of the prosecutor’s office), and pastors from four Indianapolis-area congregations. Governor Eric Holcomb and Mayor Joe Hogsett were also in attendance. Gov. 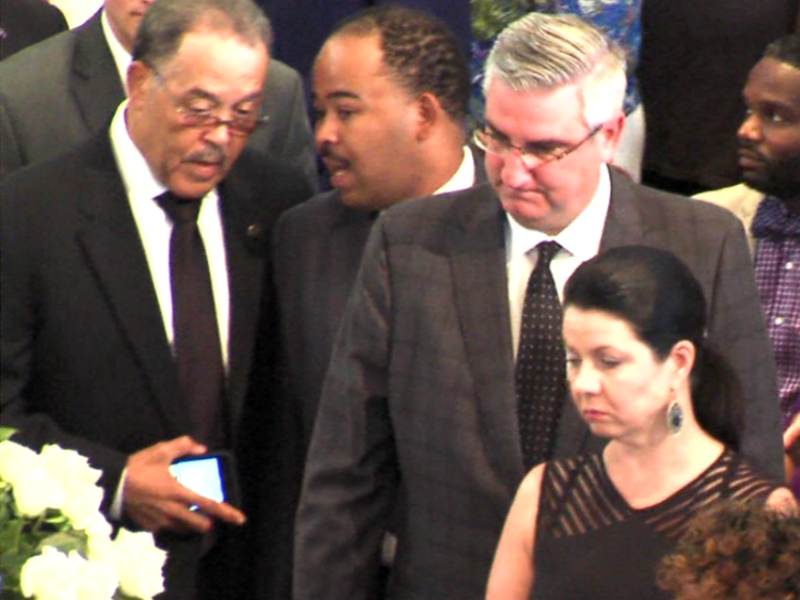 Eric Holcomb and his wife Janet pay their respects to the Coleman family. Behind them, former Indianapolis Deputy Mayor Olgen Wiliams. 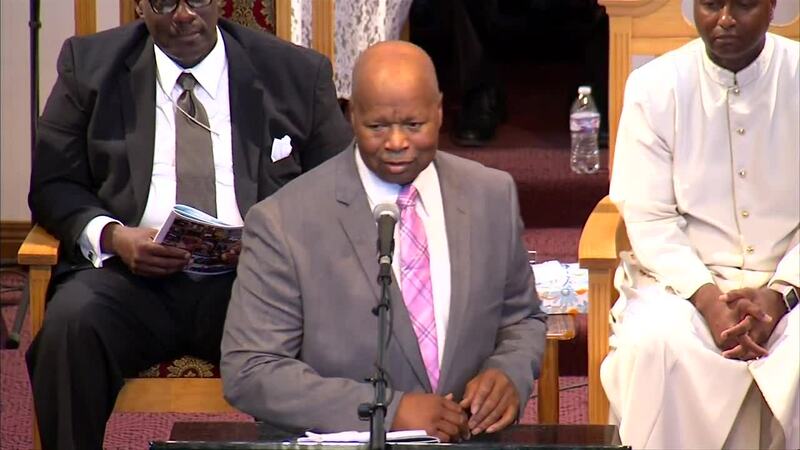 Bishop Gary L. Burt, founder and pastor of the Agape Apostolic Faith Assembly, was first to speak. He told Coleman he say in her a Biblical parallel. “When I first heard about this I said, ‘This is a Job test,’” Burt said, referencing the story of Job who, in a test of his faith, had his family, his wealth and his physical health taken from him. In his eulogy – at times breathless in its grandiose fervor, but also soft, emphatic and punctuated throughout without assertions that God loved the Coleman family and that he had a plan, however inscrutable, for Coleman – Coleman’s pastor, Suffragan Bishop G. Victor Morrisey Jr., spoke of the man Glenn had been. The sanctuary then emptied out into the field behind the church for a balloon release in the Colemans’ honor while pall bearers loaded the family into the hearses that would take them Floral Park Cemetery for interment.